For use with any lubricant except polyglycol. For use with polyglycol lubricants. For use with Roto Inject lubricants. 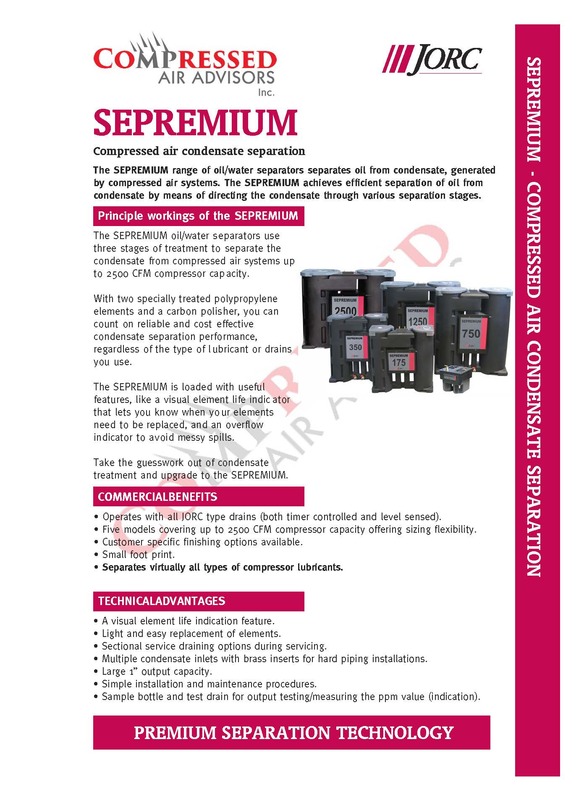 The SEPREMIUM 350 oil/water separator uses three stages of treatment to separate the condensate from compressed air systems up to 350 CFM compressor capacity. With two specially treated polypropylene elements and a carbon polisher, you can count on reliable and cost effective condensate separation performance, regardless of the type of lubricant or drains you use. 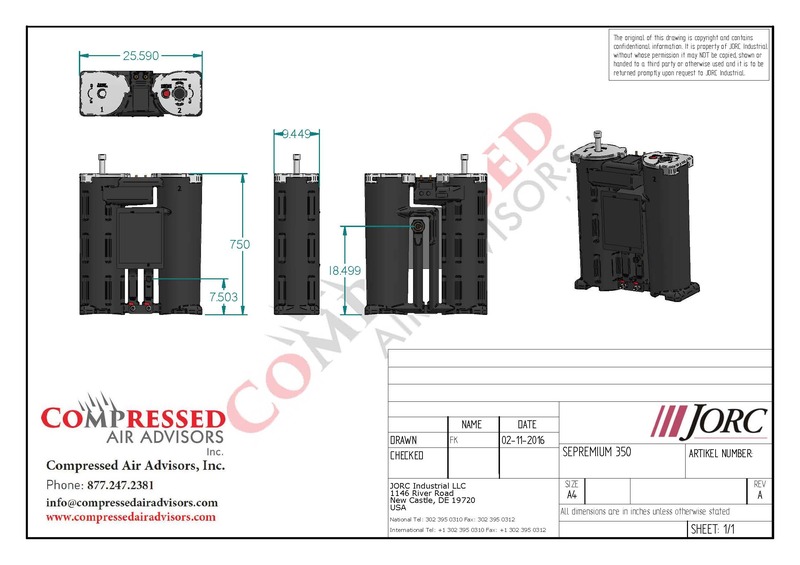 The SEPREMIUM 350 is loaded with useful features, like a visual element life indicator that lets you know when your elements need to be replaced, clever service drains and an overflow indicator to avoid messy spills. 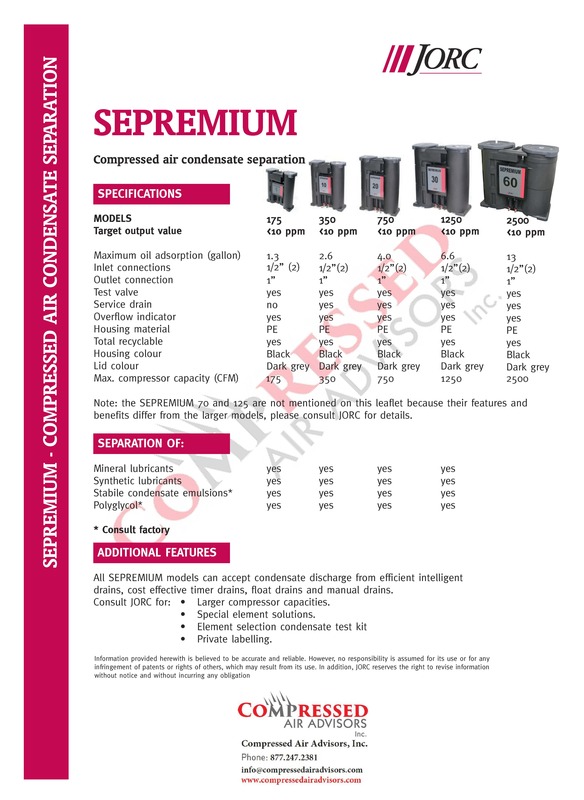 Take the guesswork out of condensate treatment and upgrade to the SEPREMIUM.